Up to the challenge? 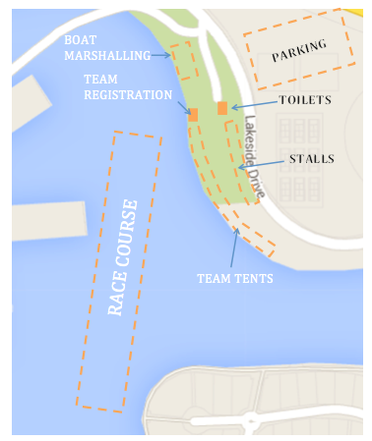 Come and enjoy the thrill of spectacular adrenalin charged sprint racing on Emerald Lakes with other Queensland dragonboat clubs. 'Battle of the Paddle' regatta gives crews competitive sprint practice for the upcoming States & Nationals as well as 'Island Dash 4 Cash' prize money! Two sets of boats with a turn around time of less then 10 minutes gets paddlers on and off the water efficiently so paddlers coming from afar can beat the traffic home!